There are many important values that we need to teach our kids, but in my opinion one of the most challenging is teaching respect. Actually, it’s more than just teaching our children what respect is, it’s training them to be respectful … and that’s where the problem lies. From the moment of birth, children are “me” centered. Their sole focus is on having their needs fulfilled—for food, for rest, for comfort. Then, as they grow and become more aware of their world, they start to understand the world of “others.” Lesson by lesson they learn the world does not center on them. What a concept! 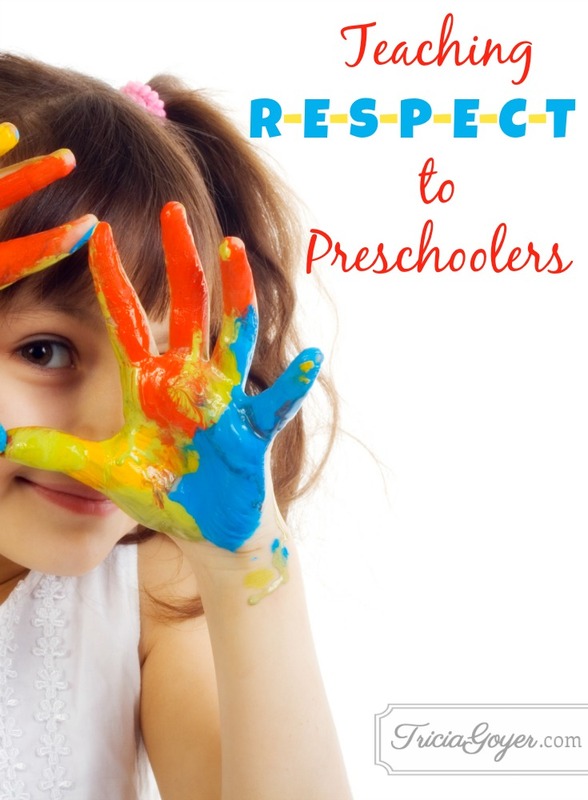 Here are two ways to teach respect to preschoolers. You’ll be amazed by how just two things can change everything! From your child’s first words we begin to teach respect. “Mama” and “Dada” are loving terms, but they also establish the relationship. They teach children that their parents are not equal to the rest of the world. From the earliest ages teach your little one how to respect others by using proper terms to define the relationship. Growing up, our kids Cory, Leslie, and Nathan were taught to use the terms “Mr. and Mrs.” when speaking to adults. For example even our closest friends were Mr. and Mrs. Klundt or Mr. and Mrs. Norick. Our children had wonderful relationships with our friends, and now that they are adults they still do! The more formal term did not hinder the relationship in the slightest, but it did teach our children a level of respect. Now that we live in the South we are teaching our children “Miss” and “Mr.” with the use of first names. For example some of our friends are Mr. Andy, Miss Hannah and Mr. Bruce and Miss Cindy. (Of course they are not really “Miss” but that’s how things are done here.) Again the purpose is to train our children not to treat adults the same way you treat friends. Find out the other way to teach respect to your preschooler and read the original post at momlifetoday.com. Respect !! The world needs more of it that’s for sure. You can always recognize the children that have been thought to respect others by how they act in public. This is great! I’m going to teach the preschoolers in my church about respect today, and surnames are a definite part of that, even though they are quite overlooked. Thank you!